Effective nurse-patient communication is the cornerstone of nursing care and treatment, irrespective of any healthcare setting. The term Therapeutic Communication is mainly used in the field of nursing however it is not restricted to nursing only rather all healthcare professionals, family and friends of patient play a vital role in implementing the strategies of communication in a therapeutic manner. The therapeutic nurse-patient relationship gives confidence to patient that plays an active role in his/her care. It has been observed the ideal therapeutic communication between patient and nurse acts as a catalyst in gratification of patient’s physical, emotional and spiritual needs. Effective verbal and non-verbal communication forms the basis of nurse-patient interaction and fosters therapeutic communication that enables patient to achieve wellness in a better manner. To start with, give a friendly gesture to your patient, and introduce yourself and it is good to call your patients with their name as this shows concern and builds trust and respect. Secondly, actively listen to your patients and if need be you can restate what they have verbalized in order to ensure. Ensure your patient gets enough privacy when providing care and all their basic needs are taken care of such as relieving pain or any other discomfort they are experiencing during the treatment. Always respect cultural differences and maintain professional boundaries such as some patient needs therapeutic touch like hand-holding, a light hug while others prefer no touching. These all tips can come handy when it comes to building therapeutic communication. 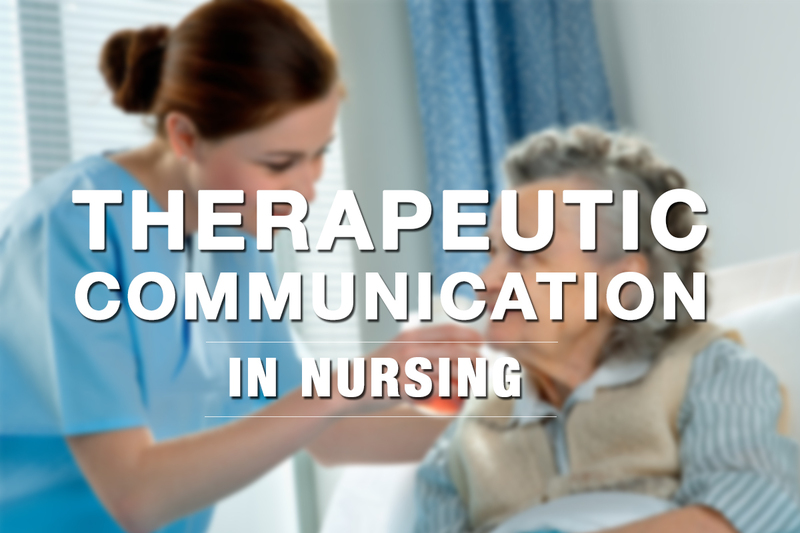 Establishing a therapeutic communication is the cornerstone of nursing work and all nursing professionals irrespective of field they are working needs to be well acquainted with the concept of therapeutic communication. If you are looking for a simulation based workshop on Therapeutic communication, INSCOL Center for Continuing Education (CCE) provides a one day workshop on Therapeutic Communication accredited by University of London. 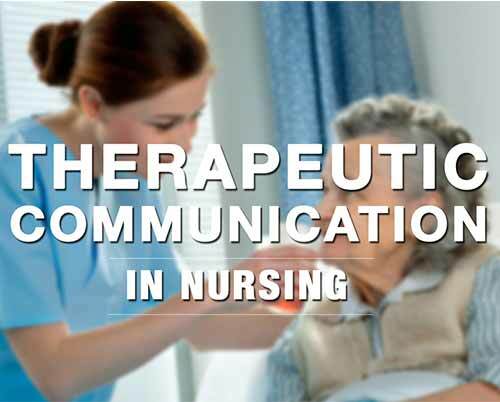 This workshop highlights the significance of therapeutic communication in nursing and various strategies and implications of therapeutic communication skills in nursing practice.